I have been profoundly touched by my interactions with the children and teens at Family Matters. These children walk in the door with a wide array of experiences, feelings, abilities, and desires. As they participate — whether dancing, cooking, writing, or doing their homework — Family Matters provides them with the principles and life skills to excel. The mentors — both staff and volunteer — teach, model, and reinforce the implementation of these principles and skills in everyday situations. It’s been my great pleasure to participate in some of the various writing workshops, classes, and activities at Family Matters; from the “little kids” storytelling to the teens’ Poetry class, to the MyBook workshop. In reading these submissions I have laughed out loud, shed a tear or two, and shaken my head in amazement at what these young people have to say. Storytelling is fun. That’s why the children sign up for it. And storytelling is a very efficient way to promote the principles on which Family Matters is based. We were so proud of Daejon as he brought the book to school and said, “Look what I did!” We took him all around the school with his book (and this is a pretty big place) and he isn’t through yet. Today he was supposed to read his book to his 1st grade class. He needed the successes. The students and teachers were so inspired by Daejon’s book and his enthusiasm that they scheduled a reading for the entire administration! What is particularly exciting to witness is his new eagerness to read and share stories with anyone who will listen. Last week, he proudly announced to a new volunteer: Do you know? I am a published author! 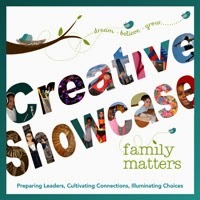 Take a look at all of the published books at www.familymatterslibrary.org.